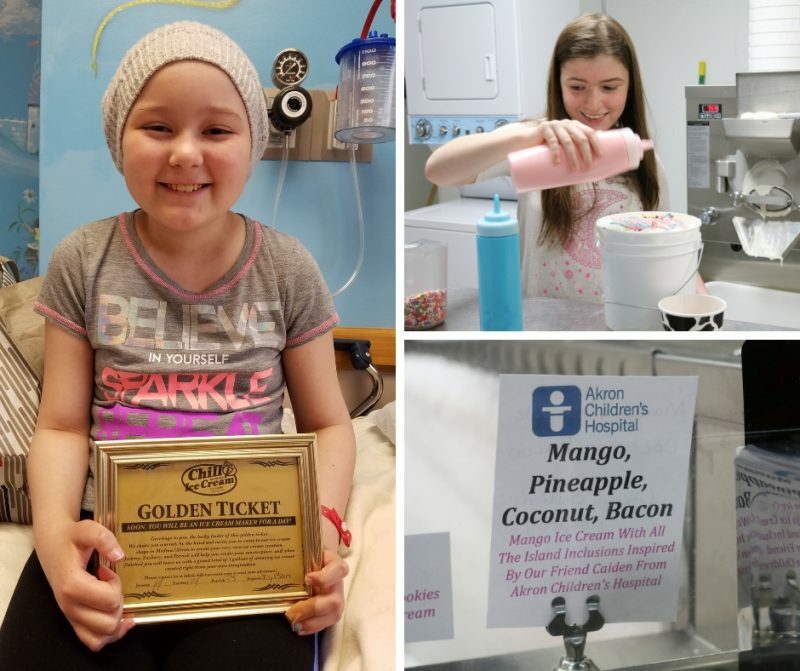 Tasty creativity comes to life with Chill’s Golden Ticket experience for our patients for the 3rd year. Just ask Eva DeVenture (at left) and Maddie Harrison (at right). Calling all kids with a creative mind for fun, tasty flavors of ice cream! Have you mixed up a few ingredients at home and wish you could make it by the gallon to share with friends? Now you can! 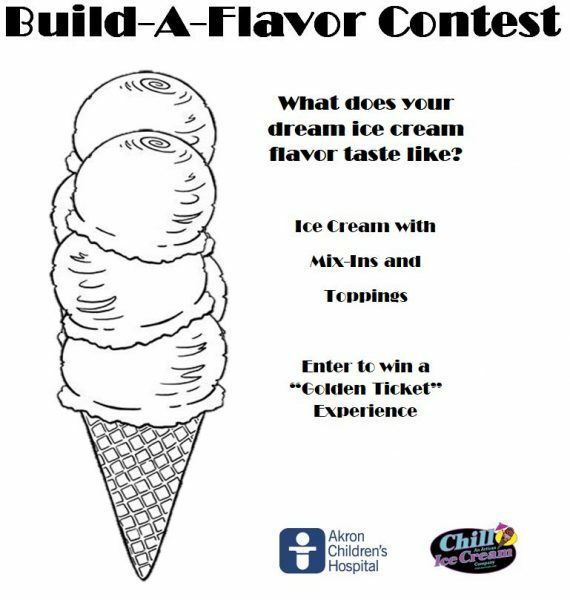 For the third year, Chill Artisan Ice Cream is partnering with Akron Children’s Hospital to provide our patients with a one-of-a-kind contest and “Golden Ticket” Experience! Creative contestants should print this entry form, complete it and return to Kristen Carpenter at kcarpenter2@akronchildrens.org in Akron Children’s Hospital Foundation by April 30. Or simply send the required information in the body of the email. Four winners will receive a “Golden Ticket Experience” at Chill Ice Cream in Akron that includes a tour of the kitchen and making 3 gallons of their flavor creation to take home. See what it’s like in this blog post and video. Winners will be announced in May. All children under 18 are eligible to win. The flavor will also be sold in the ice cream parlor with proceeds benefiting the hospital.